With Milan as its capital, Lombardy has seen 36 scudetti come its way, with Internazionale and Milan currently all square with 18 titles each. Football was introduced to the region in 1899 by an Englishman, Alfred Edwards, who formed the Milan Cricket and Football Club for expats and well-to-do Milanese, who would meet over cocktails at the American Bar in town. Nine years later, disgruntled Italian and Swiss members met in the back room of the Orologio restaurant and formed their own breakaway club, with the name “Internazionale” echoing the multi-national nature of their group, as opposed to the Anglicised “Milan”. In time, the black and blue (nerazzurri) of Inter would come to represent the more prosperous and middle-class locals, while Milan’s red and back (rossoneri) were the colours of the city’s blue-collar workers and migrants. Over in nearby Bergamo, Atalanta – who were founded by rich Swiss emigres in 1907 – have carved out a reputation as one of the strongest teams from outside Italy’s bigger metropolitan hubs, earning themselves the moniker “Regina delle Provinciali” (queen of the provinces). 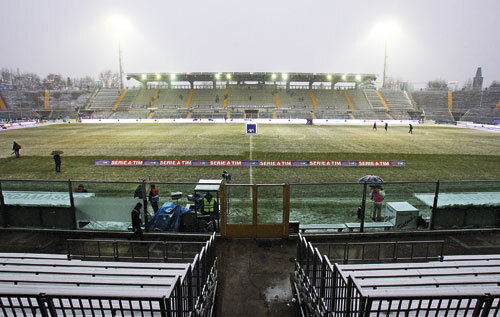 Current Serie B side AlbinoLeffe, who were formed in 1998 following a merger of fourth-tier sides Albinese and Leffe, share Atalanta’s home stadium. Also in the second division, Brescia celebrated their centenary last year, while Varese, a year older, were founded in 1910. 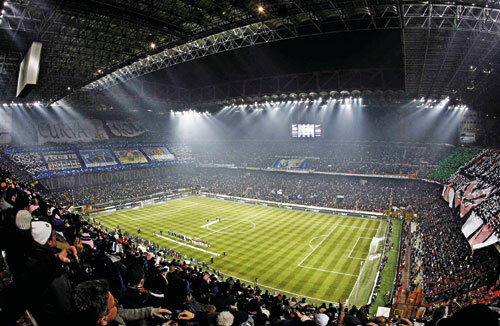 Officially known as the Stadio Giuseppe Meazza, after the pre-war World Cup forward who played for both clubs, most supporters still refer to the 80,000-capacity stadium by the name of the district, west of the city, where the then-Milan president Piero Pirelli commissioned its construction in 1926. In 1947 Inter also moved in and the two arch-rivals have shared the stadium ever since, with Milan fans occupying the Curva Sud and Inter in the Curva Nord. A new metro station is currently being built next to the arena, but until then take the M1 metro line to Lotto, where shuttle buses run to the stadium. 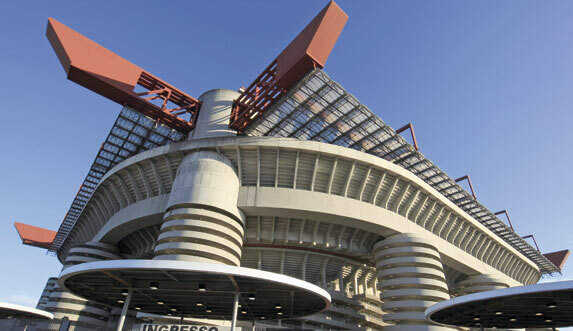 Book tickets for Inter games at www.inter.it and Milan at www.acmilan.com. You’ll need to show your passport if buying at the ground. The Baretto 1957 Milan by the northern ticket office and Bar Nuovo Trotto by the trotting track behind are popular places to meet before matches. If there are no major events taking place, you can take a tour of the arena and modest museum (www.sansirotour.com). The stadium has hosted three UEFA Champions League Finals (1965, 1970 and 2001) and 1990 World Cup games. Named after the former Brescia defender who played for the legendary Torino side that perished in the Superga air disaster of 1949, the modest arena holds 16,000 after a 1959 revamp. Located at Via Giovanni Novagani in the Mompiano part of town, it is two miles from the town centre and five miles from the train station. It can be accessed on bus lines C and D.
The first ground in Brescia to stage football was the Campo Fiera, where the English workers at the Tempini plant played during their breaks. The 8,000-capacity stadium is named after a locally-born player who appeared for Torino and died in the Superga air disaster of 1949. Doubling up as a cycle track – it is also known as the Luigi Ganna Velodrome after a local rider who won the first Giro d’Italia in 1909 – the ground is in the Masnago part of town and can be reached by buses E or P from the main station. Tickets are available from www.varese1910.it/biglietteria. 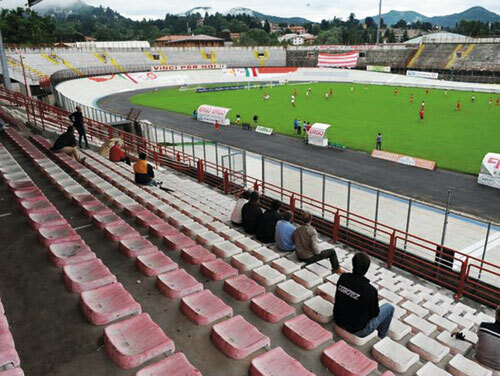 Constructed in 1925, the stadium was first known as the Stadio del Littorio before it was renamed in 1950. Little has changed at the rickety 25,000-capacity arena built in 1928 and much of the ground is uncovered. Walk up Viale Papa Giovanni XXIII and at the bus stop on via Gabriele Camozzi take the 6, 9A or 9B to the junction of Viale Caio Giulio Cesare and Via Dorando Pietri. Match tickets are available from Curva Sud Bigliettera, but you will need your passport. 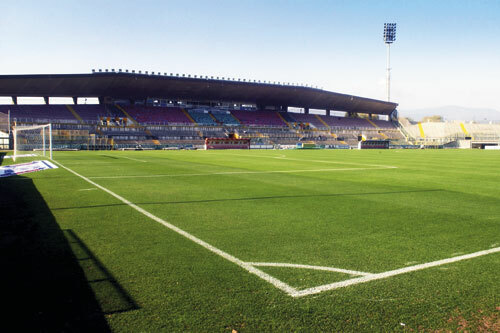 AlbinoLeffe used to play at the Leffe municipal stadium before gaining promotion to Serie B.
Atalanta played a European Cup-winners Cup semi-final here in 1988 when still in Serie B. The penultimate round of the Serie A season features the Derby della Madonnina between Inter and Milan at the San Siro (scheduled for the weekend of May 5-6), when Milan will be hoping to gain revenge for January’s 1-0 defeat in which Argentina striker Diego Milito scored Inter’s goal. The game is named in honour of one of the city’s main attractions: the statue of the Virgin Mary on the top of the Duomo. A week earlier, Milan host Atalanta, while Inter are at home to Atalanta on the weekend of March 17-18. There are currently eight third-tier teams in the Lombardy region playing in the Lega Pro Prima Divisione. Como, Lumezzane, Monza, Pavia and Tritium (based in Trezzo sull’Adda) are in the Girone A, while Cremonese (in Cremona), FeralpiSalo (in Salo) and Pergocrema (in Crema) are in Girone B.
Lombardy, which borders Switzerland, is home to one-sixth of Italy’s total population. The Malpensa International Airport is 45km from central Milan and connected to the city by the Malpensa Express railway. Linate Airport is only 7km from the city centre (bus lines 73 and X73) and an airport bus service runs to Milan Central station. Orio al Serio Airport is 3.7km east of Bergamo.